This September marks the 80th anniversary of the world’s first practical helicopter. On Sept. 14, 1939, Igor Sikorsky demonstrated his Vought-Sikorsky VS-300 breakthrough design which incorporated both a single main rotor, as well as a tail rotor, during a flight over Connecticut. 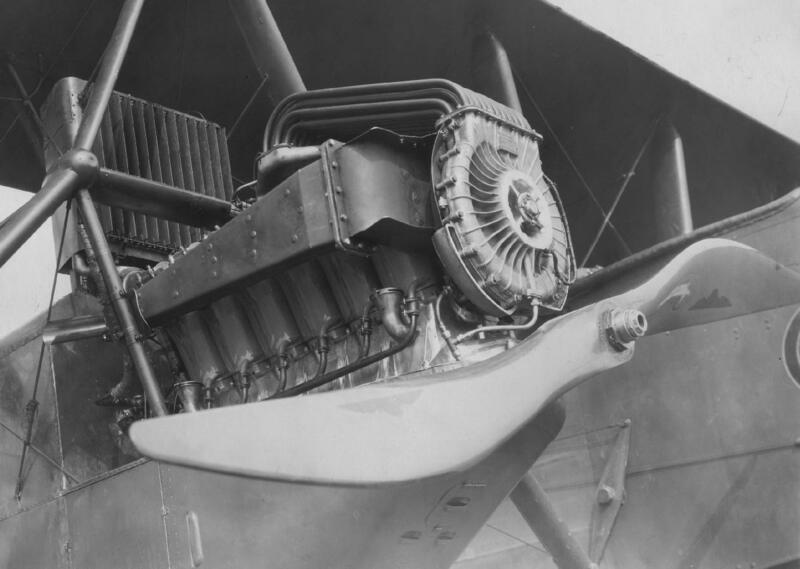 It wasn’t long after Sikorsky’s original piston-engine, barebone fuselage design that General Electric began producing horsepower for what would be generations of helicopters for the military and commercial market. GE’s great run began in 1954 with the introduction of the T58, a turbine engine that weighed 250 pounds and produced 1,050 shaft horsepower. It was the first turbine engine certified by the FAA for civil helicopter use and the T58 firmly established its reputation over the next few decades as one of the most reliable helicopters engines, powering Marine One – the U.S. President’s helicopter transport – and other diverse applications. In February, the U.S. Army has selected GE Aviation’s T901-GE-900 engine for the Engineering and Manufacturing Development (EMD) phase of the Improved Turbine Engine Program (ITEP), the U.S. Army’s endeavor to re-engine its Boeing AH-64 Apaches and Sikorsky UH-60 Black Hawks. GE has powered Black Hawks and Apaches for the past four decades with its T700 engine, racking up more than 100 million flight hours of combat-proven experience. Today, more than 4,000 GE-powered Black Hawk aircraft of all types are in service worldwide. Through continuous upgrades and technology advancements, GE has doubled the power of derivative engines in the T700 family over its lifetime and reduced its cost to the government by 50 percent. GE carried over the benefits of the T700 engine’s single-spool core architecture, ensuring that the T901 engine is ready to continue delivering combat readiness to the Warfighter over the next four decades. Built on the highly reliable T700, GE’s CT7 engine design has proven itself in harsh environments. That was certainly on display on March 23, when Norwegian cruise ship Viking Sky lost engine power in the North Sea during an intense ocean storm that packed 40-plus mile-per-hour winds and generated 25-foot waves. The drifting vessel and its nearly 1,300 passengers were in desperate need of immediate help. As part of a coordinated rescue effort, two GE CT7-powered Sikorsky S-92s (operated by CHC Helicopter Norway) were among five helicopters that sprang into action to assist in this daring rescue operation. While battling the elements, collectively, the aircraft airlifted 479 passengers – 15 at a time – safely to shore. Building on a full year’s worth of testing and more than 85 hours of flight time, the Bell V-280 Valor, powered by GE’s T64 turboshaft engines, reached its namesake cruising speed of 280 knots true airspeed in January. The V-280 Valor is a next-generation tiltrotor that is designed to provide a vertical-lift aircraft for the U.S. military demonstrating unmatched sustainability, agility, speed, range and payload capabilities at an affordable cost. “It is a remarkable achievement to hit this airspeed for the V-280 Valor in just over a year of flight testing. Beyond the exemplary speed and agility of this aircraft, this significant milestone is yet another proof point that the V-280 is mature technology,” said Keith Flail, vice president of Advanced Vertical Lift Systems at Bell. GE Aviation held a ribbon-cutting ceremony at its Lynn, Mass., plant in December to mark the opening of the new T408 engine general assembly and prep-to-ship area. In 2006, the T408 was selected to power the three-engine CH-53K King Stallion, the U.S. Marine Corps’ new heavy-lift helicopter. In late 2017, GE the U.S. Naval Air Systems Command (NAVAIR) awarded GE Aviation a $143M Low-Rate Initial Production (LRIP) contract to build 22 T408-GE-400 engines. The T408 gives the CH-53K helicopter the power to carry a 27,000-pound external load over a mission radius of 110 nautical miles in hot weather conditions, nearly triple the external load carrying capacity of current aircraft. The newest member of GE’s CT7 engine family, the CT7-2F1, achieved type certification by the Federal Aviation Administration. This milestone is a big step forward for entry into service of the CT7-2F1-powered Bell 525 Relentless, the world’s first fly-by-wire commercial helicopter, designed to operate safely and reliably in austere environments and with decreased pilot workload. The 2000 SHP-class rotocraft engine will provide the Bell 525 Relentless with up to 2,129 SHP for emergencies and 1979 SHP for takeoff. GE Aviation announced today its TrueChoiceTM Commercial Services program is now offered for its CT7 helicopter engine family. This includes the CT7-2F1 powering the Bell 525, the CT7-2E1 powering the Leonardo AW189 and the CT7-8A powering the Sikorsky S-92. NextIn Moments of Adversity, Will You Take Flight?